As part of the ongoing effort to help Americans plan for potential long-term care needs, a Fall-campaign was announced today by the American Association for Long-Term Care Insurance and the National Advisory Center for Short-Term Care Information. Slome, who launched the National Advisory Center for Short-Term Care Information to create awareness for insurance policies often referred to as short-term care or recovery care policies. “We are going to undertake an effort focused on the Short-Term Home Health Care policies from Guarantee Trust Life Insurance Company (GTL), Slome announced. “Most consumers want to receive care in their own home,” Slome, a national long-term care insurance expert shared. “And, a significant percentage of long-term care claims last a year or less which makes policies like this an ideal solution when cost or health is an issue for an applicant. 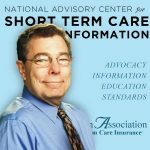 The National Advisory Center for Short-Term Care Information director will deliver a series of informational webinar programs for insurance agents who are interested and appointed to sell the GTL policy. The policy is currently approved for sale in 24 states. Life and health insurance agents who want to learn more about short-term care insurance or be included in the organization’s planned sales and marketing training webinar series should email Slome or call 818-597-3205. 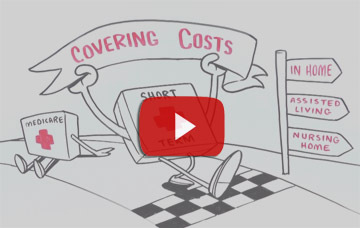 The American Association for Long-Term Care Insurance is a member-supported organization created in 1998. Slome also serves as director of the American Association for Medicare Supplement Insurance which organizes the Medicare and Senior Products National Sales Summit. He is founder and director of the National Advisory Center for Short Term Care Information.